Located at Saket in Delhi, the Banquet Hall-Silver Ferns is easily accessible to all your guests. In business since 2000 Silver Ferns is one of the most popular event venues in city. Silver Ferns has been a prime location to celebrate Kids Birthday Party, Lohri Party, Reception and many other events. 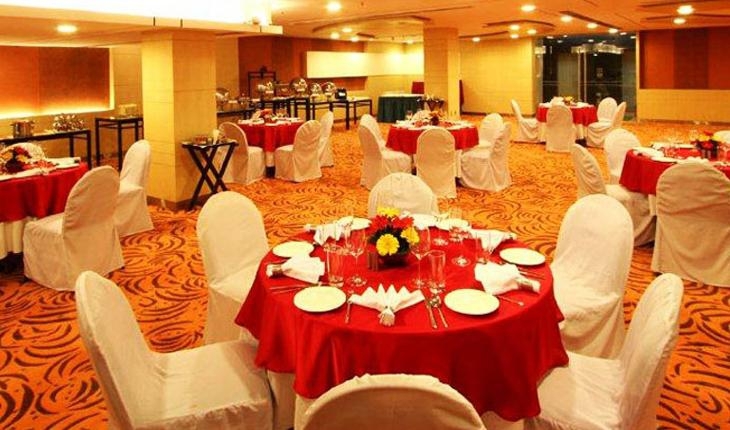 Silver Ferns can accommodate between 30 - 150 guests at a time. Silver Ferns provides numerous facilities like Power Backup, Air Condition, In House Catering and many more which ensures that your event is successful. Silver Ferns is ideally located in the south of Delhi, Saket, one of the most up market localities. The hotel is located amidst the first PVR built in the Capital. The Boutique Hotel is at a half hour distance from Connaught Place and International exhibitions convention centers such as the Pragati Maidan. The Historical locales too are within 30 minutes proximity. Comfortable, carefully considered rooms in wood and subtle colours are a soothing place to return to at the end of the business day. All rooms are Wi – Fi friendly that will keep you in touch with the Global Village. Conference room is equipped with modern audio-visual and internet facilities. Other corporate events like seminars, product launches, corporate get-togethers, training programmes, press conferences, cocktail parties, etc. require meticulous planning and flawless execution. Silver Ferns is perfect with its attention to detail and peerless service.